Delikon produces a whole range of MS Plug Adapters for connecting a military connector (MS Connector) or circular connector to a flexible conduit for industry cable management. In particular , the Over Braided Flexible Conduit with MS Adapter is most suitable for CNC machines wiring harness, and industry control, automation cables protection. 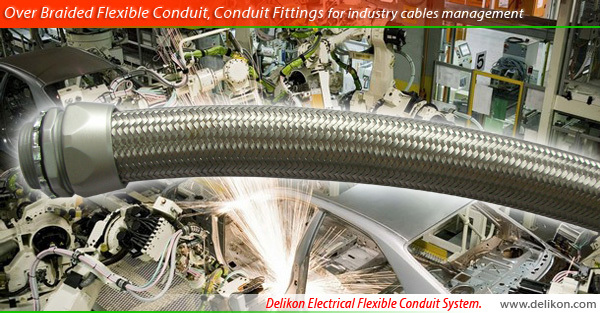 Delikon offers excellent solutions for industry wiring requirements.